Nifty future is most active contract, more tradable movements & volumes. Nifty index is component of 50 shares moving average and 23 different sectors. 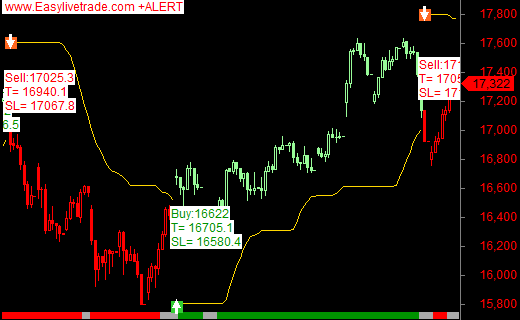 Our nifty buy sell signal technical analysis software gives target around 40-45 point and stop loss around 20 points. 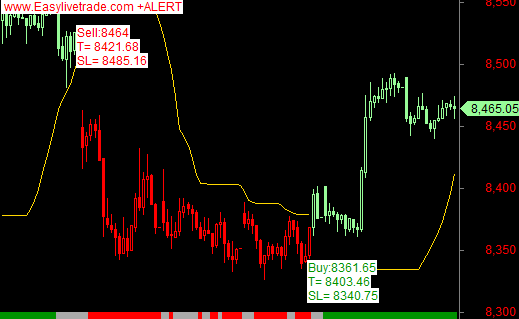 So trader earns good profit through its best nifty intraday technical chart. Every day it gives 1- 2 perfect nifty buy sell signal. Bank nifty future index is component of banking stocks. It gives live bank nifty technical chart with target around 80- 90 point and stop loss around 40 points.